​often escapes early diagnosis, which usually makes the prognosis poor for the patient. The gall bladder is a small, pear-shaped organ just beneath the liver. If cancer is detected here in its early stages, when it is still confined within the organ, there is a good chance of a cure. However, gallbladder cancer typically presents with vague symptoms, rendering it almost undetectable in its early stages. One study by four doctors from the National Cancer Centre Singapore (NCCS), a member of the SingHealth group, showed that the majority of patients presented an unresectable locally advanced disease at the point of diagnosis. At this stage, the cancer had usually already invaded the nearby organs and lymph nodes. The study’s lead researcher, Dr David Tai Wai-Meng, Consultant, Division of Medical Oncology, NCCS, a member of the SingHealth group, said that the gall bladder is situated deep inside the body, so early abnormality is not seen or felt during routine physical examinations. Often, early gallbladder cancer is only uncovered by chance when a patient is having another procedure done, such as removal of the gall bladder due to gallstones. Even when the cancer has grown enough to cause symptoms, diagnosis could still be delayed because the symptoms may be too vague. And by the time it is discovered, the cancer may already be in its advanced stages. 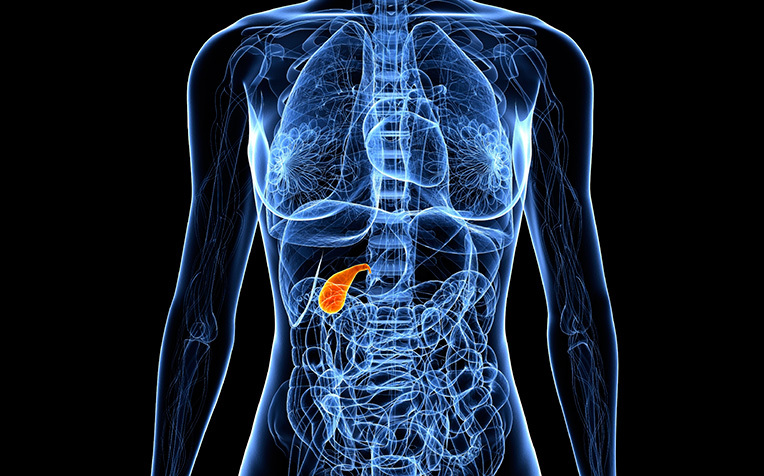 Symptoms associated with gallbladder cancer include abdominal pain, fever, loss of appetite and unexplained weight loss. Other symptoms such as jaundice, nausea and vomiting may also occur when the cancer invades the surrounding organs. All these symptoms can be caused by other more common but benign gall bladder conditions too. “Symptoms such as unintentional and significant loss of weight and appetite should raise concern. Medical consultation should be sought as soon as possible in such cases,” said Dr Tai. Gallbladder cancer is not very common in Singapore. It affects about 1.7 in every 100,000 people in the population. In comparison, the most common cancer, colorectal cancer, affects 33.7 in every 100,000 people. There are four stages in gallbladder cancer. Stage 1: The cancer affects only the gall bladder wall. Stage 2: The full thickness of the gall bladder wall is affected by the cancer. It has not spread to the lymph nodes or organs close by. Stage 3: The cancer has spread to the nearby lymph nodes or to the liver, stomach, colon or small intestine. Stage 4: The cancer has spread very deeply into two or more nearby organs, or to distant lymph nodes or organs such as the lungs.